May being the Mother's Day month, we continue to focus on all the special women in our lives here on the Glitz Design blog. June for me personally is a busy one with both my mother and my mother-in-law having birthdays a day apart. And if I need a card from each kid and one from us, that's 6 total cards I need in 2 days. So the grandmothers' birthdays is definitely one that I pre-plan for. I love the big Whatnots that Glitz offers in the Afternoon Muse collection. The thing about big pieces like this is that I think they are made with scrapbookers in mind. 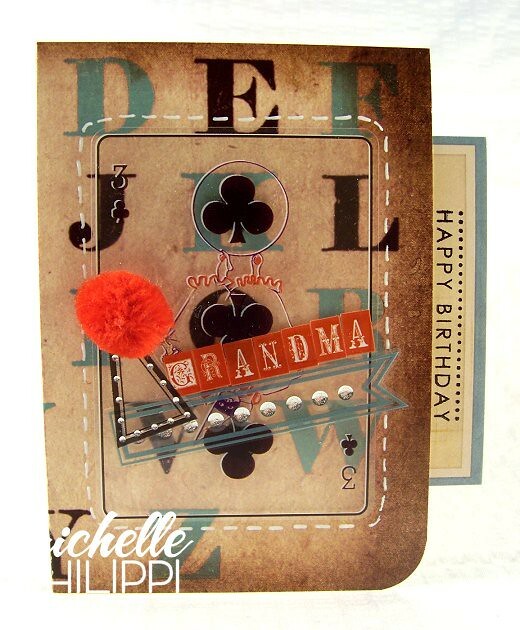 And being that I am a cardmaker and not a scrapbooker, I wanted to make sure that I could take full advantage of these great pieces. 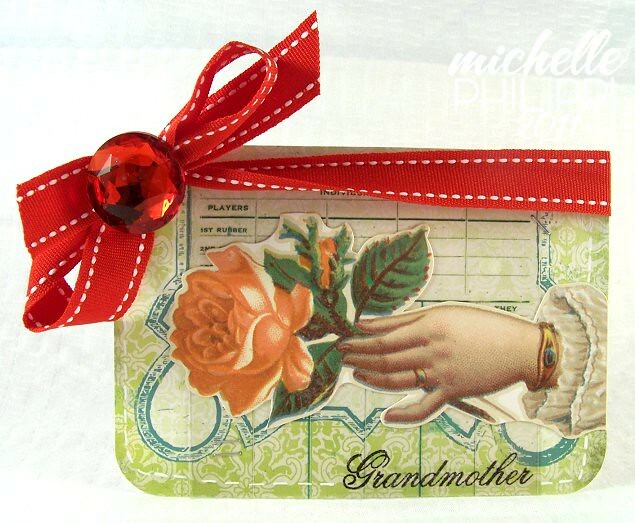 They are 5x7 and when they are scored and folded down they make a great 3.5x5 card. What a great size! So that's what I did - I used these Whatnots as my card bases and just layered on the fun!